If you’re trying to build a corporate blog, quit thinking (simply) about the content you create and share. Focus, too, on having subject matter experts help you create your content and you’ll be ahead of the competition and further ensure your web copy gets read. Instead of thinking anyone who can type and halfway distill an idea is worthy of a byline on your blog, put in the work to find staff members who can write clearly and succinctly on the topics your prospects and customers care about, or hire reputable writers who have experience covering topics in your vertical. Prospects and customers who encounter your brand’s content will typically do so via the SERPs or a link shared on social media. If they encounter the post via the SERPs, your brand’s reputation, along with the title and the meta description, will earn or lose you the click. But if the post is found via social media, would-be readers might not have much to go on, aside from maybe a hyper-descriptive URL. The title of the post: Often—especially on Twitter—people tweet an article with a short description but without the actual title of the post. The author’s name: People want to trust what they’re reading or about to read; one of the best ways to put their minds at ease is for the author to be a recognizable name. That is, someone they have at least some level of familiarity with. 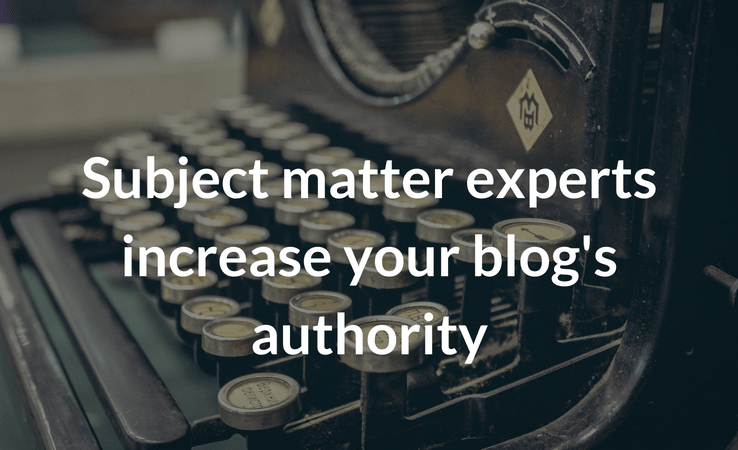 The importance of having subject matter experts involved in creating content for your blog cannot be overstated. The author element is typically an afterthought when it comes to creating and sharing content, especially for blog managers. It’s as though brands think their name and reputation alone carry enough cache to help them get to where they hope to go. If your brand is Apple or Salesforce or HubSpot or Moz or Slack, yes, the name of the writer of a post is far less important. But if your brand is trying to establish a blog worthy of being talked about, read, and whose content is shared, you have to do things differently, especially when you consider that nearly 90 million blogs were published in WordPress, the predominant CMS across the world, in May. That’s where subject matter experts come into play. You need subject matter experts (SME) to grow the reach of your content; it helps to set your blog (and brand) apart as having a deep, rich expertise that can solve real problems for an audience. Having experts on tap also makes it easier to sell your products and services, for people are more likely to judge your brand more favorably after consuming your content, whether written, video or audio. But having respected, recognized authors isn’t only beneficial for web searchers; Google prefers authoritative authors as well. Slegg says content created by individuals having a stellar reputation can lead to the [written, video, audio, etc.] content being ranked higher since it is generally indicative of a better user experience for web searhers. …a complete author bio, with links to other writings on the topic by the author. What’s more, to win in the uber-competitive content marketing space, you need something, and preferably someone, to set you apart. 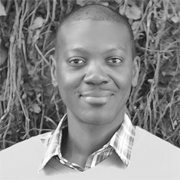 SME as writer: If your brand has SMEs who are willing to dive in and do some writing, by all means, allow them. These folks have knowledge the audience would benefit from; it’s up to you to help them share it. You should have folks on staff to help with editing, proofing and getting the copy ready for the CMS. You can also go external for SMEs, hiring writers versed in the vertical of your product or service. These writers don’t have to be household names, but they should have built up a repertoire or content such that it would be easy for the audience to associate them as someone who knows their stuff on the topics they’ll be charged with covering. SME + writer (internal or external): At most brands, the experts don’t want to write or think they aren’t good writers, so they stay as far away from the blog as possible. Pair them with a writer—freelance or internal—to lessen the burden of getting their ideas out. You’ll be amazed at how great many product managers are at conveying ideas in a succinct, thorough manner. They simply need help in organization and tying the thoughts together in an easily digestible manner. I wrote this post out of disgust after seeing dozens of brands attempting to grow the presence and the traffic of their blog in a hopelessly negligent way: hiring writers with little or no thought about what the latter should cover or what role the author plays in establishing the significance of the former’s brand. If you care about building a blog that gets read, shared and linked to, the decision about who’ll communicate on your platform is too important to disregard. What’s your opinion on having subject matter experts involved in creating your blog’s content?